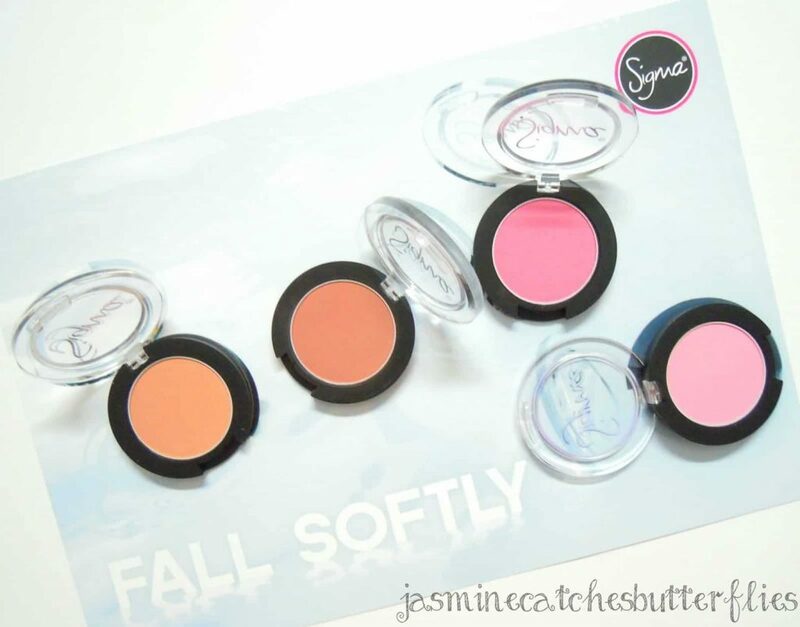 This fall Sigma Beauty went out of the way and came out with a gorgeous collection that reminds me of some Beverly Hills high school hottie. Featuring cool toned pastels and roasted hues, unlike the mainstream berry shades, it has been aptly named ‘Fall Softly’. The collection comprises of four blushes, an eye shadow palette, three lip vexes, and released for the first time, three lip bases. 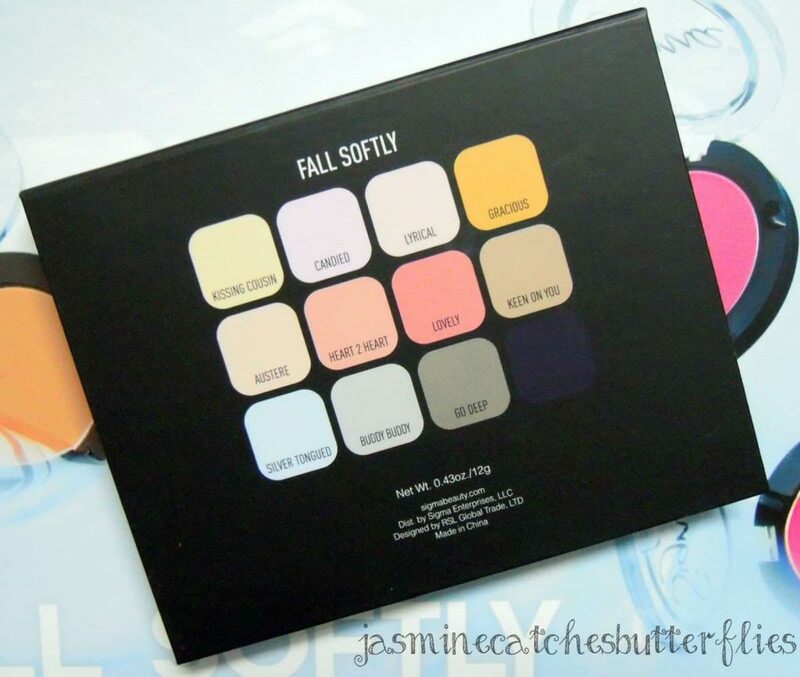 There’s something for all skin tones in the Fall Softly range which makes it even more amazing. 1) Modesty, a pale pink that would show up better on fair complexions. 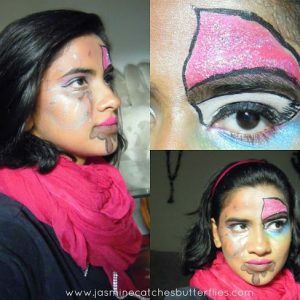 2) For Cute!, an intense pink that would suit medium to dark complexions. A little goes a long way. 3) Heavenly, a very pretty fun shade of peach that would flatter many skin tones. 4) Cheeky, a cross between brick red and brown. 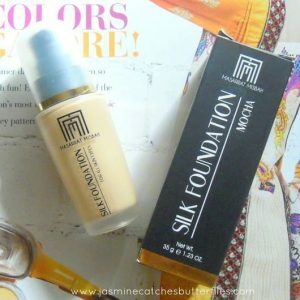 This would look better on medium to dark complexions and can double up as both, blush and bronzer. It is the most pigmented of them all so be careful and build little by little. It’s a tie between the latter three and I can’t decide which one I like more. It depends on my mood, but I am most drawn to Heavenly in general. 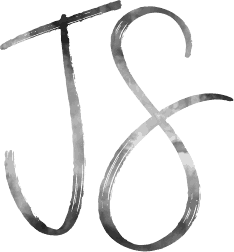 Starting with the embossed text on each of the shadows, I find it is so pretty and honestly was afraid of ruining it. Thank goodness it’s still safe and nice. 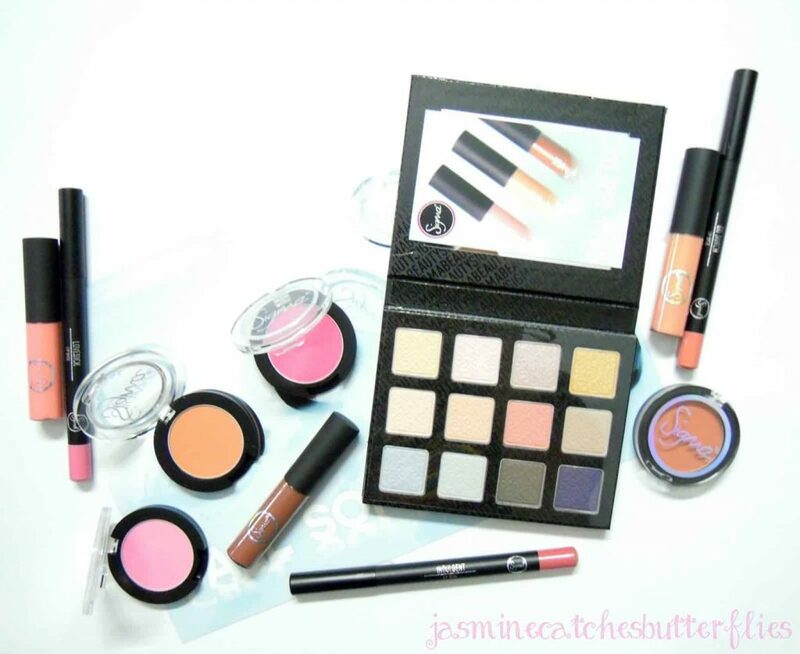 The palette itself is very sturdy, has a magnetic flip and a big mirror. 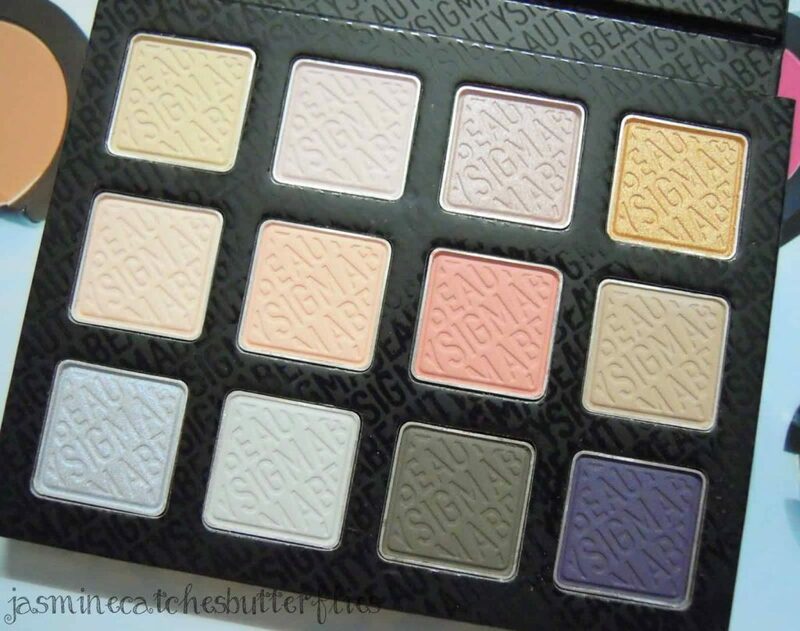 It contains 12 good sized eye shadows, three of which have a frost finish and the rest are all matte. 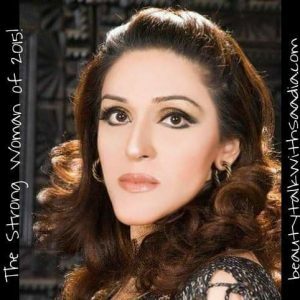 Most of the matte shades are very light pastels and they would work best on fairer complexions. The frosty ones are absolutely stunning and would be great for fancy functions like weddings and balls. The last row has some unique shades and Silver Tongued is my favourite of them all. It is more glittery and kind of duo-chrome as opposed to its frosty counterparts. On the flip side I had higher hopes from Go Deep and Elderberry because they are the darkest shades, but they aren’t as pigmented as I wished they would be. They have some fall-outs and the colour payoff could have been more impressive but I guess Sigma kept them less intense sticking to the theme. Nonetheless, these can be amped up with a primer underneath. 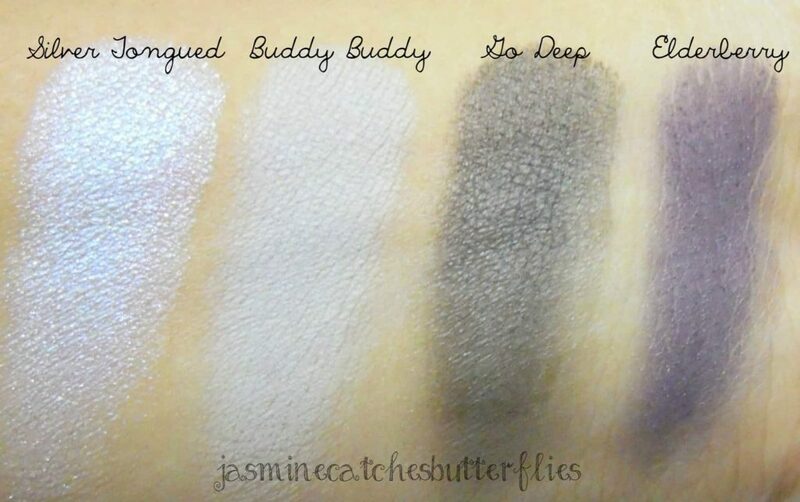 All of the shades are soft and blend-able. These are creamier, thicker and more viscous than any of the glosses I have ever tried before. 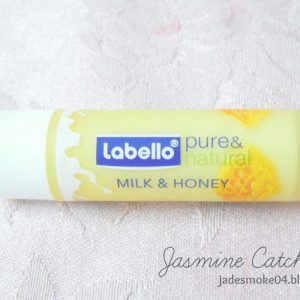 Due to such a consistency these are sticky but not annoyingly and adhere to lips nicely to last longer than average. I don’t find them completely opaque because I do have very pigmented lips, but the opacity is still nice. The brush applicator is easy to control and I prefer it over a doe-foot one. I am a diehard fan of their yummy sweet vanilla scent because I feel like eating them! This is quite surprising as I don’t usually like sweet scents though I love sweets and candies. 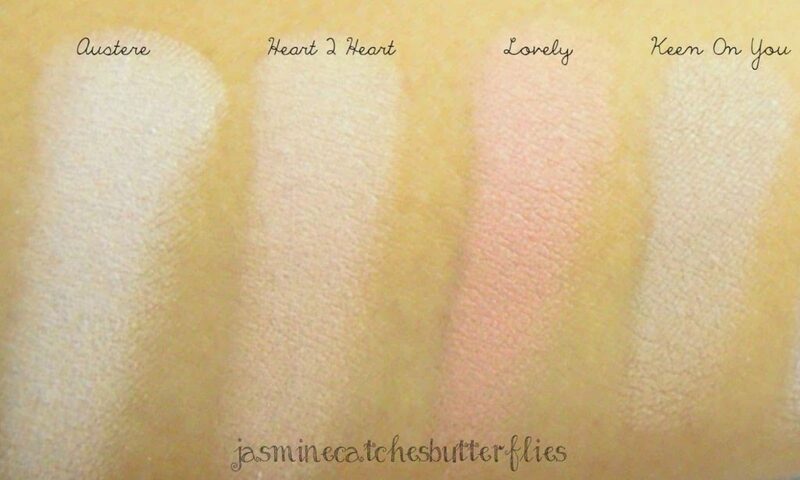 1) Tender, a creamy light pink shade which would look great on fair complexions. 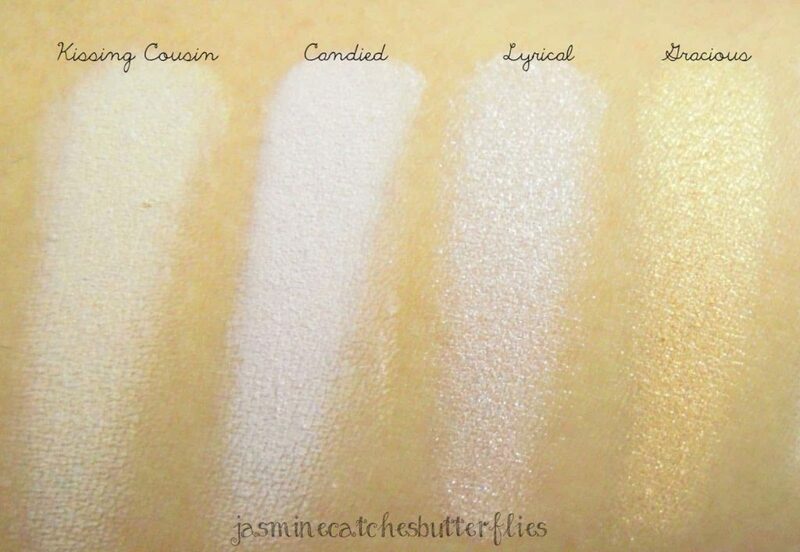 2) Slip, a neutral peachy shade with very fine gold shimmer that is not even detectable. 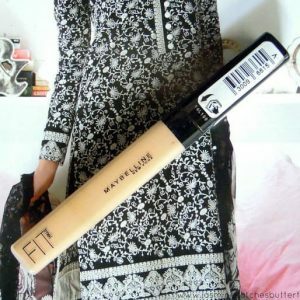 This would again suit fairer or light medium complexions better than the rest. 3) All Heart, a chocolaty brown shade which may look intimidating in the tube to some, but is actually sheerer than it seems and is very fall appropriate. It would suit all the complexions. I like to pair them with the lip bases because I can’t pull off Tender and Slip on their own. 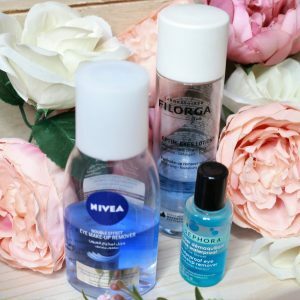 These are ideal for teenagers or people who are just starting out with makeup. These are a fatter version of lip pencils and can be used for both, outlining as well as filling in the lip. 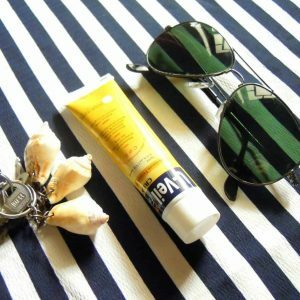 The formula is very smooth and buttery which I think is great given the fact that these have a matte finish and they are still moisturising. 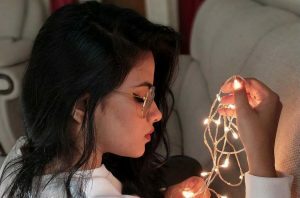 In addition to that they have a good lasting power for a lip liner and hold up well on their own during meals, requiring only little touch-ups later. 1) Lovesick, a bright bubblegum pink which would look flattering on fair complexions. 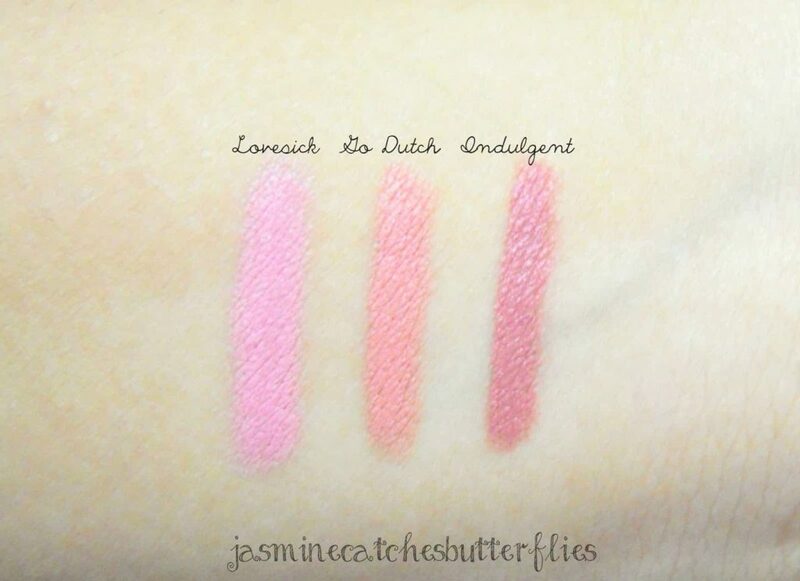 2) Go Dutch, a pastel peach which would suit fair to medium complexions. 3) Indulgent, a subtle roasted pink which would suit almost everybody and is a potential Kylie Jenner shade! The world has been going gaga over the Jenner lip and it has been recently revealed by Kim K.W that one of Kylie’s lip products is Soar by MAC. I think and I’m sure a ton of people on the planet would agree that even though Soar is deeper, Indulgent is still a very close dupe to that actual lip trend. 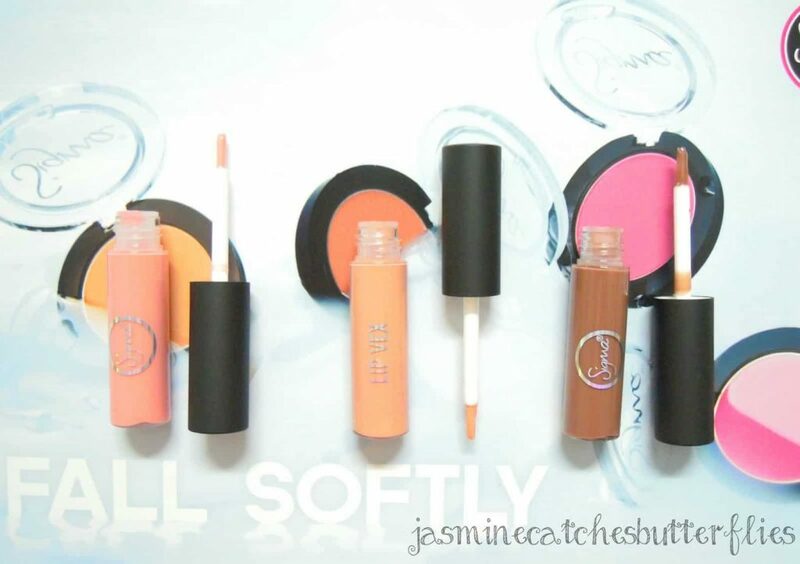 My favourites from the entire collection have to be these lip bases and Indulgent is the winner amongst them all. Not because of Kylie though, I have always been into roasted/mauvy pinks as they flatter my complexion the most and give that natural ‘my lips but better’ effect. Availability: Sigma Beauty website. All of the products mentioned are sold individually. Get a 10% discount by entering the code ‘NOV2014‘ on check out. Sigma Beauty makeup is paraben-free and I find the packaging quite convenient. What caught your eye from this collection? Everything in this collection looks so amazing, can't decide which one is more preferable 🙂 Lovely picks. Lovely collection! I love the blushes. So pretty! And the lip bases look so smooth. Great post! 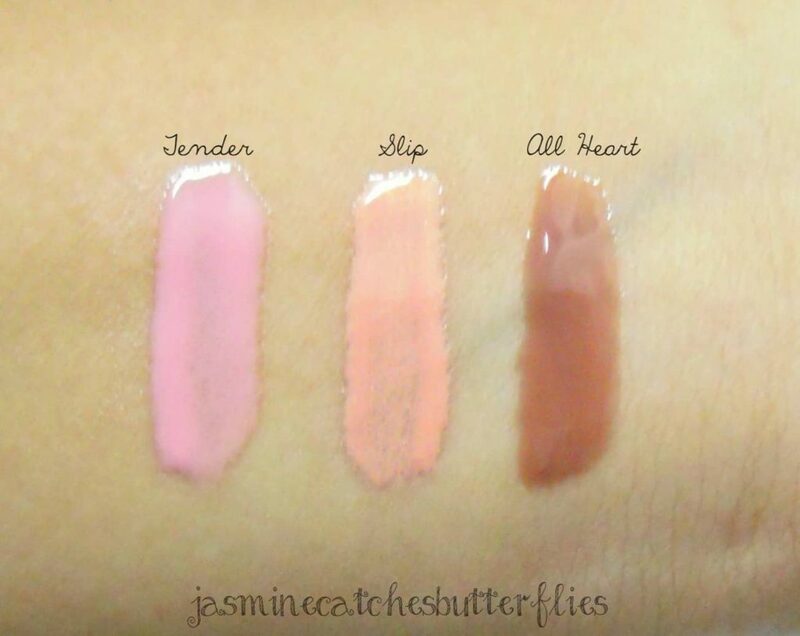 Blushes and lip pencils/bases are beautiful. Thanx for swatches and review. 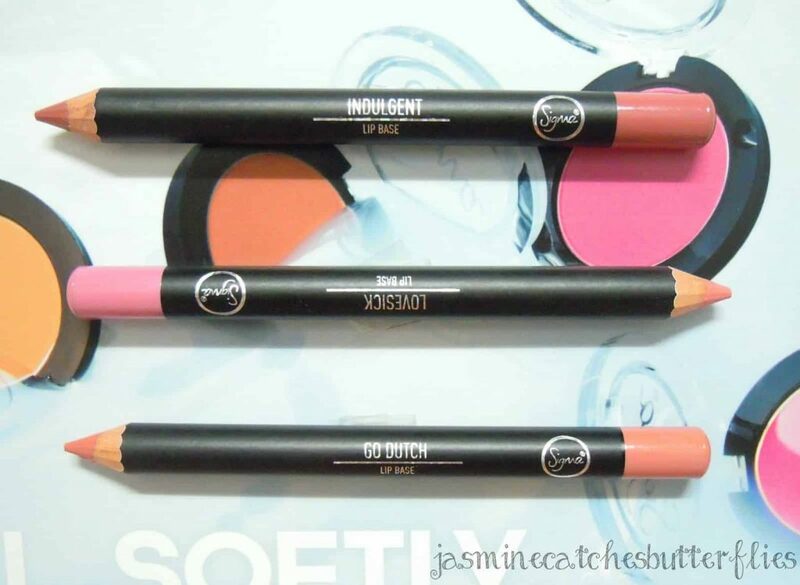 beautiful review.i love the pencil in go dutch, my perfect shade.the blushes are too cute!! Those blushes are so pretty. That For Cute! shade could be my favorite shade to put on. Mega in love with these colours. Love how clear all the swatches look.